Home / BGC / counterflow / Jaguar / News / social media / Top Gear Philippines / Video / Guess Who is this Angry Jaguar Motorist? Guess Who is this Angry Jaguar Motorist? 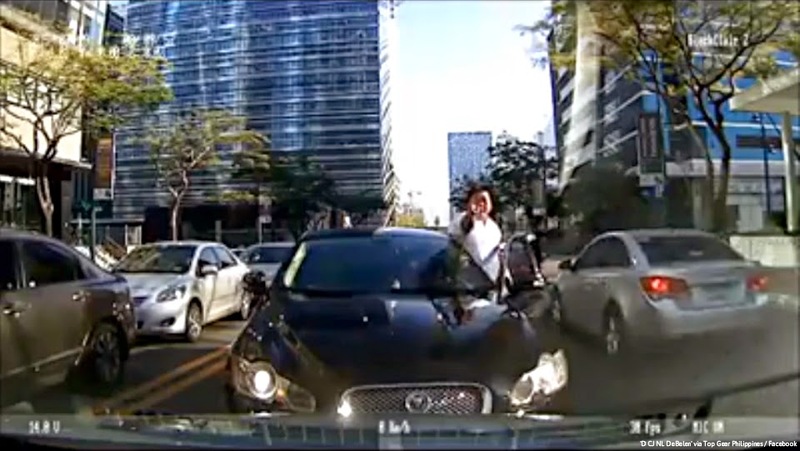 On April 24, 2015, Top Gear Philippines posted a video of a counterflowing driver of a Jaguar that occurred in Bonifacio City in Taguig. The nerve of this driver is that although he was in the wrong lane already yet he had the temerity to shout at the other motorist who occupied the correct lane. The premium car bore a plate number of ZPU 562 and as per GMA News investigation, ownership was traced to Globe Philippines which the telecom company immediately retorted that the said car was sold to Jaguar Philippines and the car dealership company has yet to respond to this allegation. However, quite a number of people had already said brutal words for the driver. Many lamented the reality that there are indeed huge numbers of Filipino drivers who behave as if they own the whole country; more powerful than the president. Others commented that the driver is just rich and he did not earn his driver’s license the right way but paid for it; thus, this kind of behavior. Other comments also noted the possibility that this individual might have somebody behind him who is so powerful that even observing traffic rules is not his responsibility. Since he just bought his license to drive, he probably did not have formal driving lessons; hence, he is an idiot when it comes to observing traffic rules and regulation. This incident is just one glaring example of just how bad the traffic and motoring situation is in the Philippines. It is so bad that even all best practices of the whole world when it comes to traffic and motoring management are implemented in the country, still, it will not be successful. According to numerous comments in this incident, they pointed out the many Filipino drivers have this penchant to be the king of the road regardless if it is compromising other people’s safety and even their own. The video has been viewed more than 1 million times and you can watch it here.